Most public debate over the legacy of Edward Colston focuses on his statue. But what of the schoolchildren’s ceremonies that take place in the cathedral? Events held during the month of November in Bristol are much like those held across the country. We have our fair share of fireworks displays, we mark Remembrance Sunday, and some say the Christmas decorations appear far too early. But the month of November is unique in Bristol for the many annual rituals centred around the person of Edward Colston. Edward Colston (1636-1721) was a Bristol son and Merchant Venturer, described by his city centre statue as ‘virtuous and wise’, and once a top official in the Royal Africa Company, which had a monopoly on trade along Africa’s west coast during the 17th and 18th centuries. He was without doubt a great benefactor of the city, but also a huge personal beneficiary of the slave trade. As such, his legacy is now torn between those who value his philanthropic deeds and contribution to Bristolian civic life, and those who see him as an embodiment of historical injustice. Although much of the contemporary debate over his memorialisation revolves around the statue remembering him in one of the city’s central roundabouts, I believe that we would be better off focussing on the role his personage plays in the lives of the city’s school-children. Most are aware of places like Colston Hall, Colston Girls School and Colston Tower. Some are also aware of streets named after him. But most will come into contact with him in the annual November ceremonies sponsored by the Merchant Venturers and designed to preserve his memory, which take place in the city’s cathedral. Any ceremony held in a cathedral is significant. When that ceremony is led by a Bishop, it is even more so. 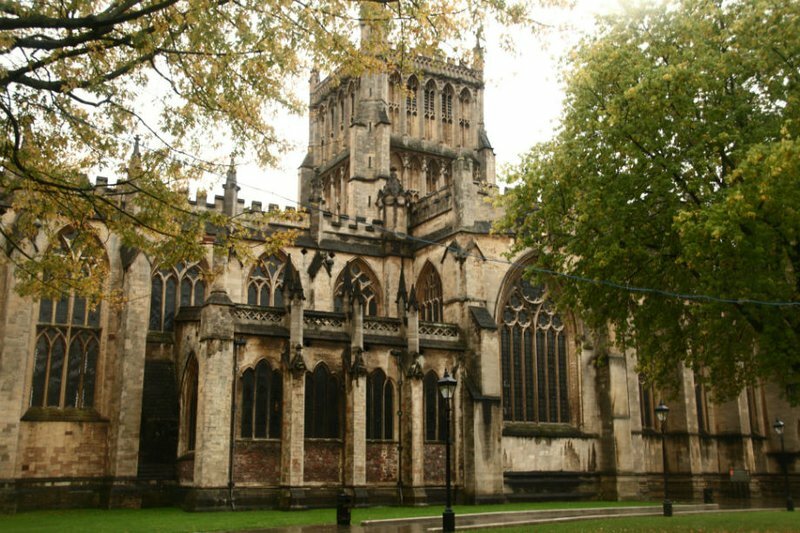 Bristol Cathedral dates back to the 12th century and occupies a prominent position in the centre of the city. It is within this venue that the life of Edward Colston is annually celebrated and commemorated. Should that be so? Although the hundreds of school children who participate in these ceremonies may pay as much attention to the words spoken by a Bishop as they do to statues of dead white men, all will eagerly receive their ‘Colston bun’ at the end of the ceremony and will pose for photographs within the Cathedral grounds for school newsletters and promotional material used on websites. On the day of the ceremony itself, hundreds from the Colston Girls School wear a bronze chrysanthemum on their lapels, apparently this man’s favourite flower; children bring a 10 pence piece for the ‘charity box’ to continue the actions of this man who used philanthropy as a means to stamp his name on the city. Yet what these ceremonies fail to include are reflections on the system of enslavement that contributed to the fortune that made Colston’s philanthropic endeavours possible. There is no mention or acknowledgement of the suffering he caused to the ancestors of those now living in Bristol, some of whom will be represented amongst the children in these ceremonies. Whilst recent activism in the city has seen an end to children placing wreaths around his central statue, religious ceremonies continue behind the cathedral’s closed doors annually in early November. Surely it is time for the cathedral to wake-up to its hypocrisy? How can it claim to promote peace and understanding, or the word of Jesus, when it continues to allow the Merchant Venturers, a centuries’ old organisation built on the wealth of exploration, exploitation and enslavement of fellow human beings, to whitewash over the historical realities of how his money and assets were accumulated? Bristol is a city divided along two lines in relation to Colston. Some continue to regard him as ‘a man of his time who used philanthropy for the good of the city’; others see ‘a human-trafficker and enslaver, who needs to be remembered as such whenever his name is spoken’. With the Cathedral’s continued endorsement of these ceremonies and the message they convey to the city’s children, there can be little doubt which side of the division it sits. And there can be little doubt that it contributes towards teaching the city’s children only a very partial historical narrative.